The buses will be ready for April 1, 2019 when the shutdown between Bedford Ave. and 8th Ave begins. 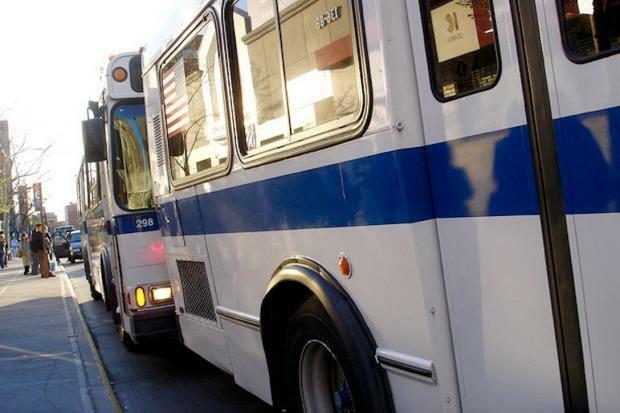 FINANCIAL DISTRICT — The Metropolitan Transportation Authority secured 200 diesel buses in preparation for the looming 2019 L train shutdown at a board meeting Wednesday, irking environmental advocates who called for electric buses to bridge the transportation gap. Councilman Stephen Levin, who'd rallied near the Bedford Avenue stop Tuesday to call the MTA to invest in electric buses for the L train shutdown of service between Manhattan and Brooklyn said he was disappointed that there would more "diesel-spewing buses that are going to be idling on the street, constantly on a loop over and over again." "There are going to be a lot of buses running through communities that already have high rates of asthma, already have high rates of truck traffic. It's a real significant impact," Levin said. "We're behind the times already. We need to get with it." At a Wednesday meeting of the MTA's full board, the agency approved a $366,495,966 purchase of a fleet of 628 new buses over the course of the next few years from two different companies, all but ten of which are diesel powered. The contract also included a pilot program for 10 electric buses which the MTA will begin a three-year test run of starting in late 2017. The MTA won't use electric buses to mitigate the L train shutdown because that test run won't be completed yet, officials said. “New York City streets are pretty hard on buses, and so we want to make sure that before we go out with a larger investment in electric buses that this is a wise investment," said MTA Executive Director Ronnie Hakim, at the Wednesday meeting explaining why electric buses couldn't be used to mitigate the impacts of the L train shutdown. Each day, the L train shuttles around 225,000 straphangers between Manhattan and Brooklyn, many of whom will have to find alternate routes during the 15-month shutdown of service between Bedford Avenue and 8th Avenue slated to begin in April of 2019. The MTA is working with the city's Department of Transportation to come up with alternative service plans which may include a patchwork of bolstered train service along the J, M, Z and G train lines, ferries, ride sharing and increased bike infrastructure and added select bus service. More specific preliminary plans for alternate routes to and from Manhattan are expected later this year.